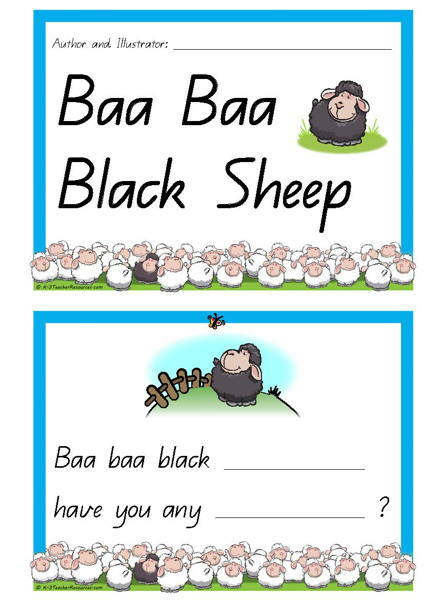 I’m a Little Teapot Nursery Rhyme – Printable A4 page, large print pages, sentence and word reconstruction. 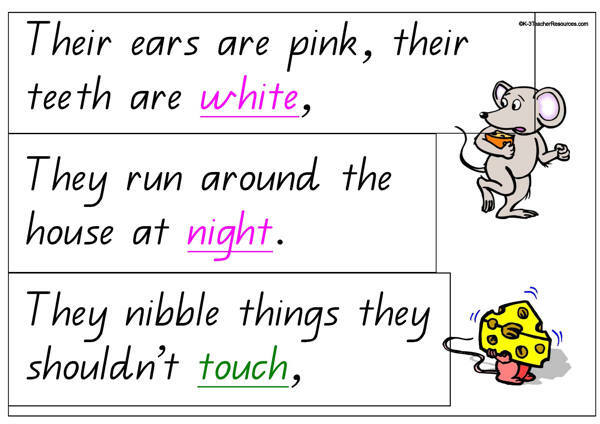 Five Little Monkeys Rhyme – Printable A4 page, large print pages, sentence and word reconstruction. 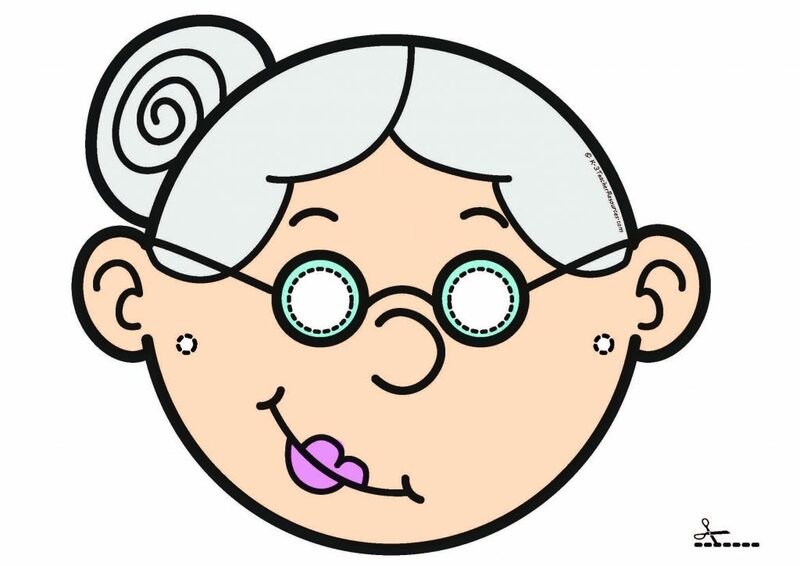 Printable masks for children’s role play. Includes 3 Little Pigs, The Gingerbread Man, 5 Little Peas, Easter Bunny and more coming. 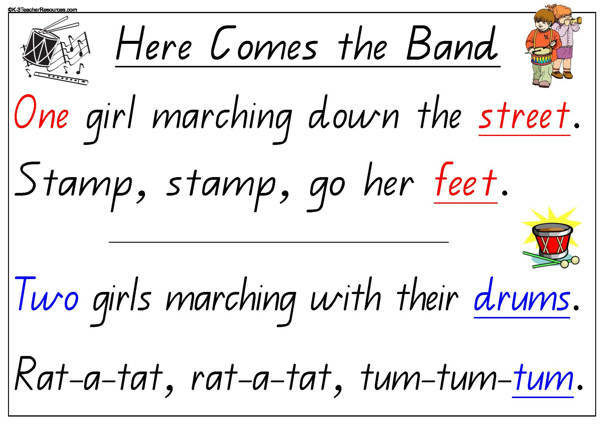 This Old Man Song – great for rhyming and phonics discussion and ready to cut up for sentence reconstruction. 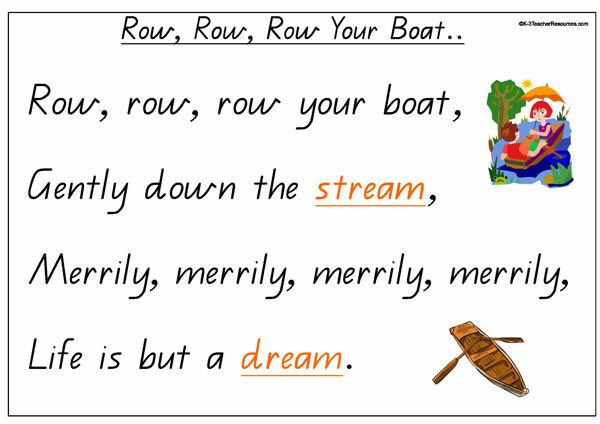 Row Row Row Your Boat – Printable shared poetry, sentence and word rebuilding activities. 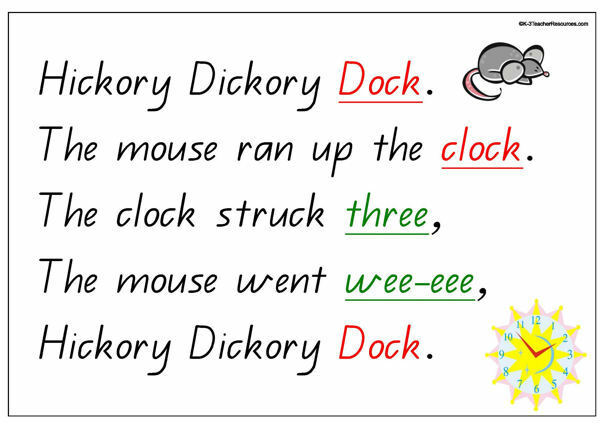 Incy Wincy Spider – Shared reading nursery rhyme chart to print, sentence and word rebuilding activities. 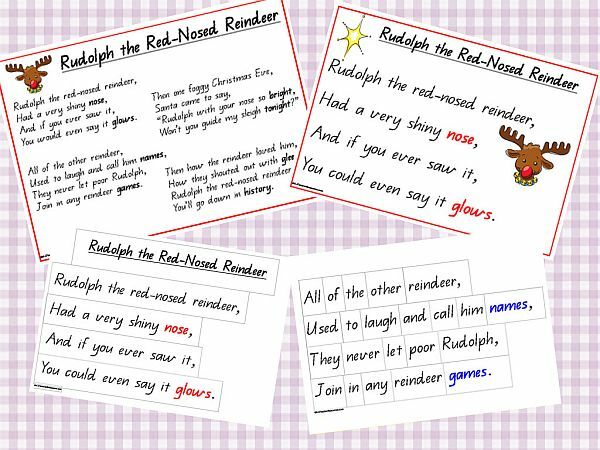 Rudolph the Red Nosed Reindeer. 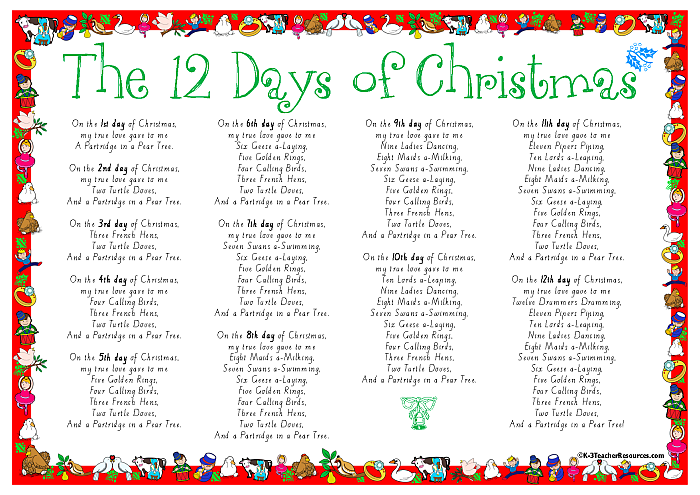 Printable christmas carol reading chart and sentence and word building activities. 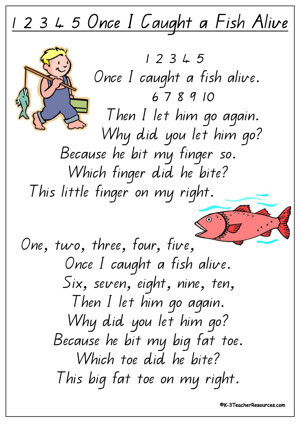 Songs and Nursery Rhymes – 12345 Once I Caught a Fish Alive – Counting Song Lyrics and Sentence / Word Rebuilding Activities….. Includes: A4 full rhyme page, Large Print pages, Large Print sentence/line cut out pages, Large Print word cut out pages. 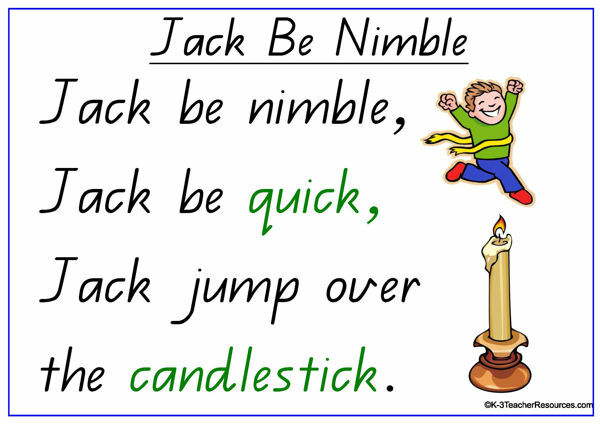 Nursery Rhyme Activities – Jack Be Nimble Lyrics and Sentence / Word Rebuilding Activities….. Includes: A4 full rhyme page, Large Print pages, Large Print sentence/line cut out pages, Large Print word cut out pages. 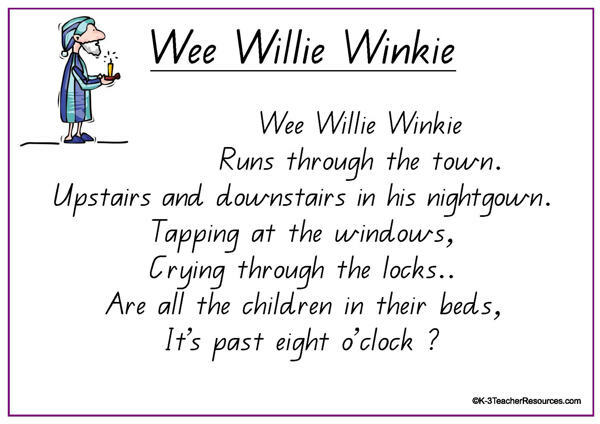 Wee Willie Winkie Printable shared reading chart, sentence and word rebuilding activities. 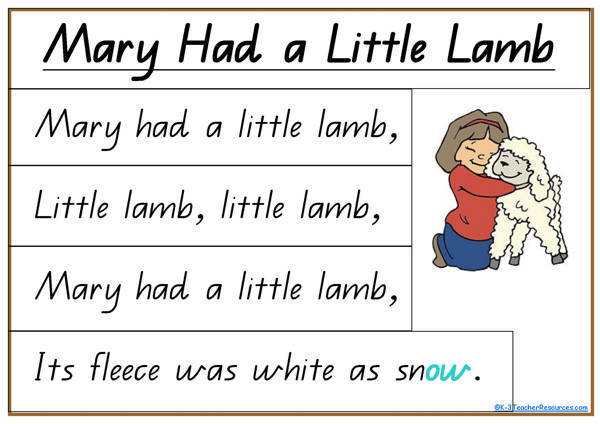 Humpty Dumpty Nursery Rhyme Lyrics, Printable chart, and Sentence Rebuild Activity.